Millions of people across the country are beginning to head to the polls in the midst of one of the most disgusting and unprecedented campaigns between two of the most unpopular presidential candidates in modern history. 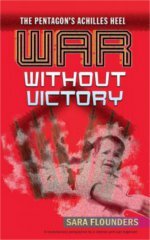 Faced with a choice between racist, sexist billionaire Donald Trump and Wall Street loyalist, war hawk Hillary Clinton, many are realizing that capitalist democracy offers working-class and oppressed people with no choice — but to fight back! 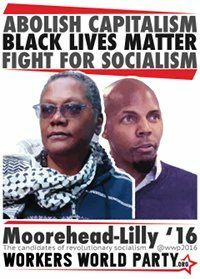 There is another electoral option, and that’s to cast a vote for candidates who believe in that fightback, the Workers World Party revolutionary socialist election campaign of Monica Moorehead for president and Lamont Lilly for vice president. Moorehead/Lilly will be on the ballot in New Jersey, Wisconsin and Utah, and a write-in vote for the ticket will be counted in over half the other states. See the full list below. The Moorehead/Lilly campaign has never been about getting votes or winning elections. 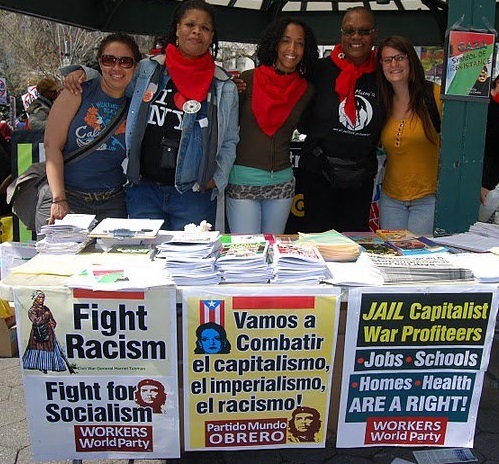 It’s about building the struggle in the streets for Black lives; to stop the raids and deportations; to abolish the police, the Pentagon and Immigration and Customs Enforcement; to stop the attacks on women and LGBTQ people; for housing, free education and health care for all; for reparations to those owed them by the state; and against the rising tide of Islamophobia and racist reaction. A vote for Moorehead/Lilly is a vote against the capitalist system and a commitment to the fightback of the people to change the miserable conditions that have been forced upon us. 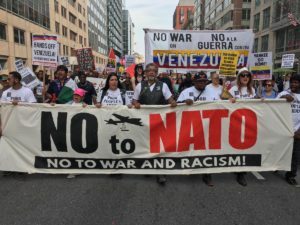 Perhaps more than anything, this election has laid bare that the entire system is rigged on behalf of the ruling class and their continued ability to oppress and exploit working-class and oppressed people in the U.S. and across the globe. We clearly have but one choice: to continue to build a revolutionary movement to fight for a socialist future that can once and for all stomp the Trumps, Clintons and the system they represent into the ground. 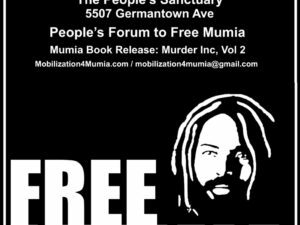 Monica Moorehead for president and Lamont Lilly for vice president are on the ballot in New Jersey, Utah and Wisconsin. Anyone — including prisoners, youth under 18, undocumented folks, and people from other parts of the world — can cast their ballot for our candidates online at vote4socialism.org.